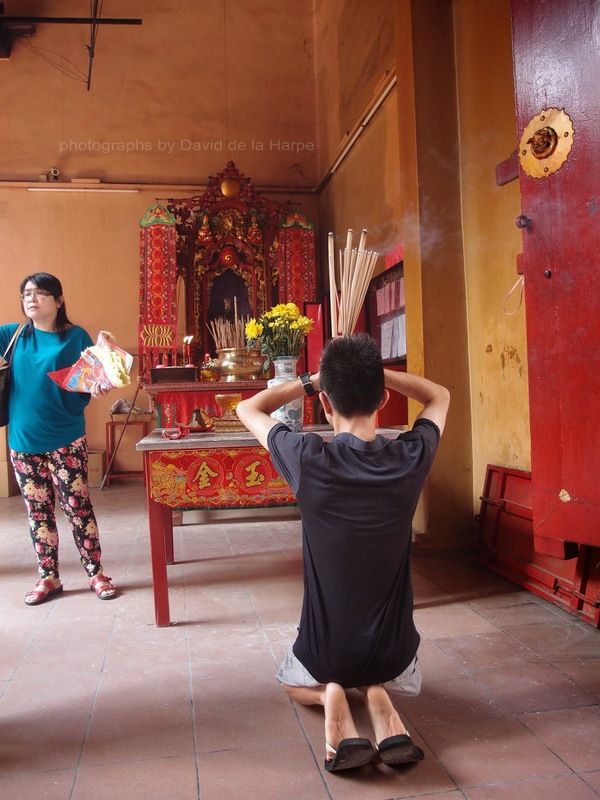 There are many temples built by the early Chinese settlers who came to Malaya in the early part of the last century. But one well known temple is dedicated to the ‘god of Righteousness’ who is also known as ‘Kuang Ti’ .This temple was built in 1888 by the Selangor & Federal Territory Kwong Siew Association. Restoration work has been carried out in 1994/5. It is located along Jalan Tun H.S. Lee. Originally the name of the road was a main street that used to stretch across old Kuala Lumpur. Today this area is known as the Petaling street area and is very well known for its cheap shopping. A place to burn items for the departed. god of war. His immense popularity with the common people rests on the firm belief that his control over evil spirits is so great that even actors who play his part in dramas share his power over demons. Kuang Ti who became immortalized as the God of War, is widely regarded as a symbol of loyalty and integrity, so he is not only a natural favourite of soldiers but has been chosen as patron of numerous trades and professions. Other dieses found withing the temple include Guan Yin (Goddess of Mercy), Mun Cheong (God of Education) and Tai Sui (Grand Duke Jupiter). This temple is usually well patronized especially during weekends. Visitors are welcome at the temple and photography is allowed. 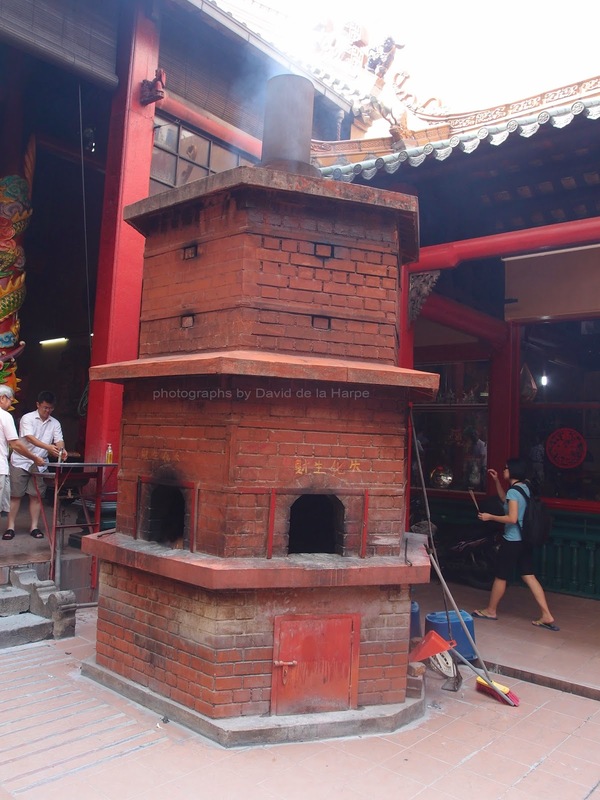 The entrance to the temple is directly open to the street s and billows of incense smoke should lead you to it. Visitors will be greeted by the two Guardian Gods of the temple standing ostentatiously outside, on either side of the entrance. In front of them are 2 stone lions or sometimes knows as foo dogs. These are placed here to ward off negative vibes. Coils of incense hung at the entrance to the temple. 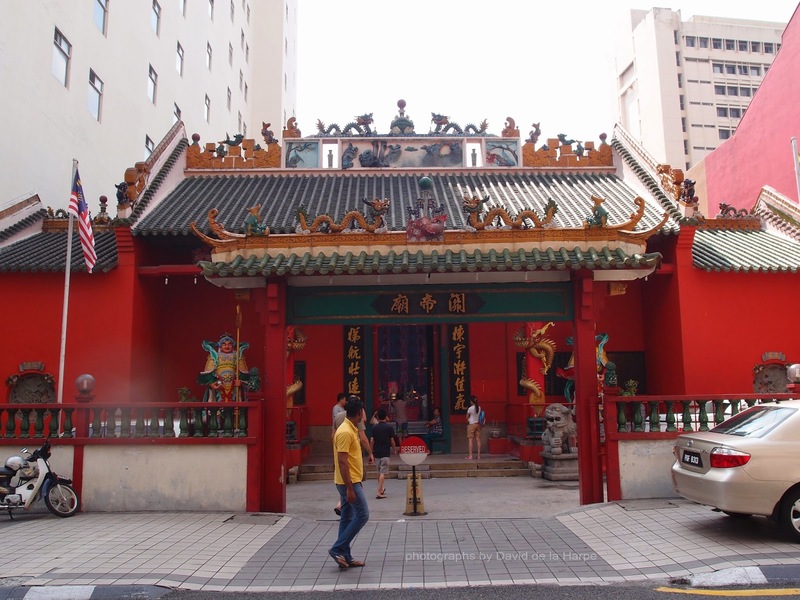 Visitors may find it interesting to know that the temple houses an antique - 'guan dao'. This is a long knife that was brought to the temple from China more than 100 years ago. Legend has it that such a weapon was the favorite of Kuan Ti. This item is usually displayed at an altar that is about 3 meters in front of the main altar. During certain festivals, the long knife is brought out to the courtyard facing the entrance for public viewing. Many devotees believe that whoever touches the knife will receive its blessings. Besides being a place of worship, many temples were a place to preserve and pass on their cultural heritage to the younger generations. For this temple language classes are also conducted in classrooms at the back portion of the temple. Students need to pay only a nominal tuition fee. Known as the Kwong Siew Free School it was set up in 1927 and its aim is to offer tuition classes in Mandarin. There are also facilities for students to learn to play the Er Hu, a traditional Chinese musical instrument. It is a good opportunity to visit the temple if you’re in the vicinity of Petaling street and it also provides great photo opportunities.